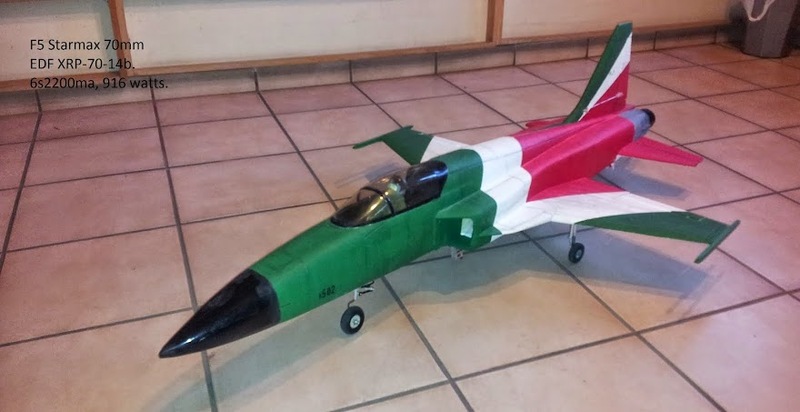 Aeromodelismo Electrico de R.C. 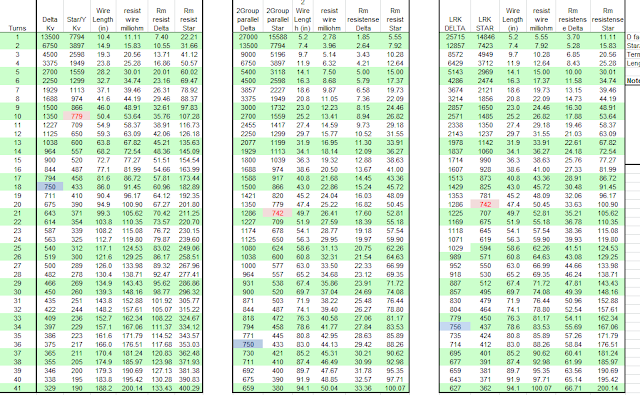 : Star Termination vs. Delta Termination. Star Termination vs. Delta Termination. Regardless of what type of winding is done, we have the option to finish it Star or Delta. It is said that at the same number of turns the resulting Kv will be 1 for Delta and 1.73 for Star. And that the current will be 1 for Star and 3 for Delta. Which of the two endings is better or more effective. Assuming we are looking for a fixed Kv, if we pack the same wire and the fhase resistor is the same, then the motor will be the same. Regardless of termination. 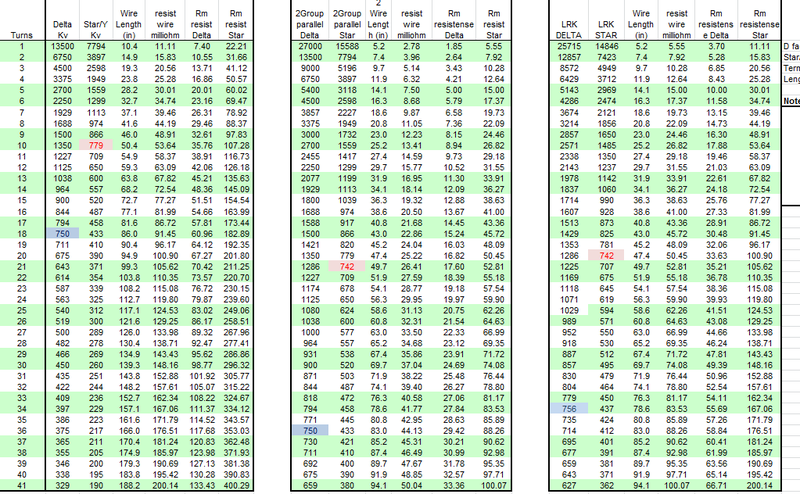 Resistance per phase of greater than .061 Ohms. 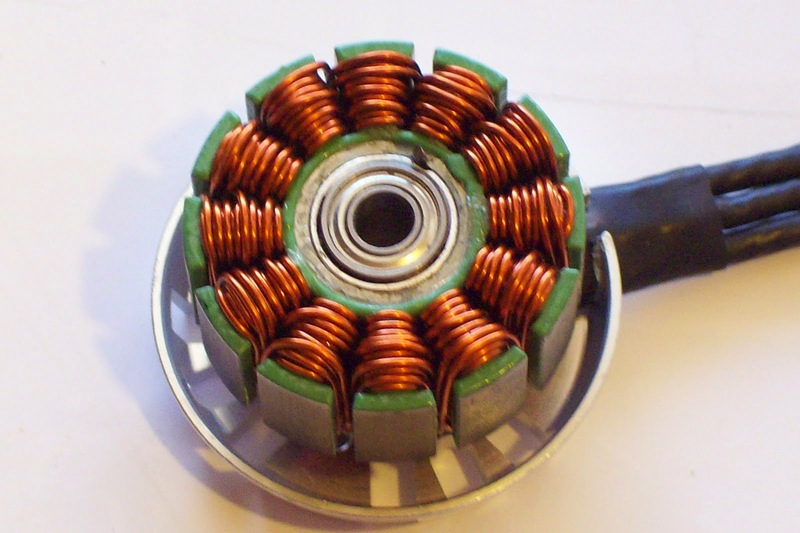 Stator with an area of 28.2mm2 per slot. In an motor the Star termination phase is composed of only two coils. The resistance of the wire for two will be equal to one fhase. In an motor, the delta termination implies that a fhase is composed of the 3 coils. The resulting resistance will be .66 of the resistance of one of the wires. In Star HPDLRK deals: 21T, 742 Kv. In Delta HPDLRK deals: 36T 750 Kv. In Delta LRK it is occupied 34T, 756 kv. 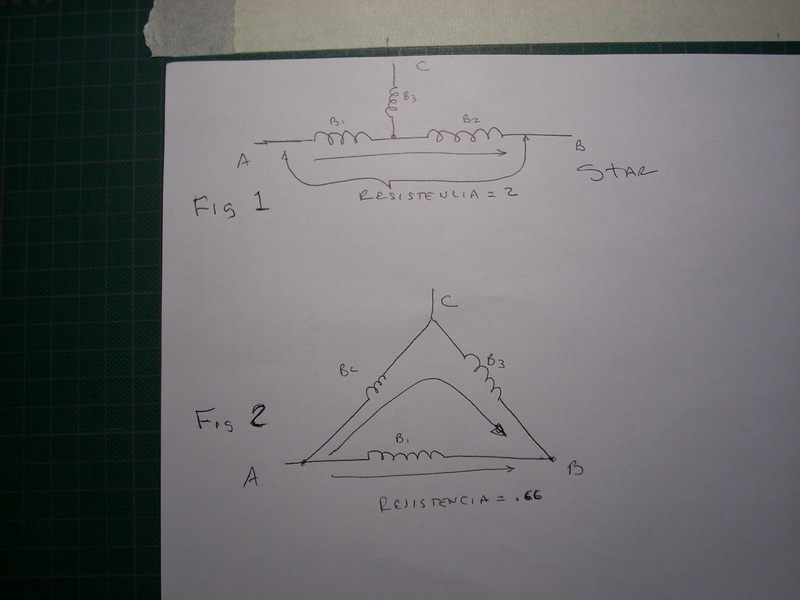 The resistance between phases is more .061 ohms in the original or stock motor. In Star DLRK deals: 10T, 779 Kv, 43 inch, 18AWG, 64.79%, Rm = .050 ohms. Rm varies with the packaging and not with the scheme. 18T 21AWG, 80 In , equivale a 8.538mm2 * 2, para 60.53% empacado, .060mohms resistencia de phase. 10.5T, 18AWG, equivale a 9.50 mm2 * 2, 67.8% empacado, .056mohms resitencia de phase. 10.25T, 18AWG, equivale a 9.33 mm2 * 2, 66.19% empacado, .055mohms resitencia de phase. 10.5T, 19AWG, equivale a 7.76 mm2 * 2, 55.3% empacado, .071mohms resitencia de phase. 10.25T, 19AWG, equivale a 7.57 mm2 * 2, 53.7% mpacado, .069mohms resitencia de phase. Entonces: si igualamos el Kv, y el enpacado de cobre, la resistencia sera casi igual, ya sea en Delta o estrella. asi que el grosor equivalente de ambos sera igual y tendra la misma capacidad para manejar el amperaje. 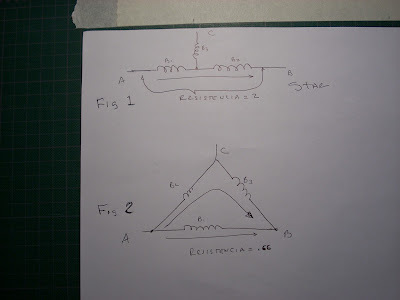 Como rebobinar un motor Eléctrico.